A few days ago I found this great deal on a relatively unknown phone, Philips S309. After researching a bit about it, it seems that it's actually built by a chinese company called SangFei. 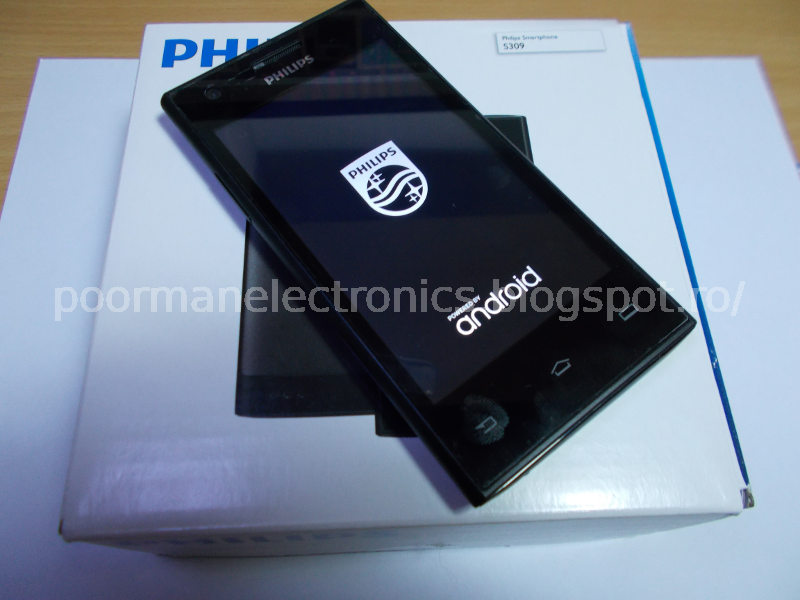 They have bought the rights to use the Philips brand after a joint venture they had together on the mobile market. The phones are quite decent and they have good prices, but they're not widely known, mainly because SangFei only exports them to China, Russia, Brazil, India and Romania. The battery in my old Blackberry didn't hold too much charge anymore and it's a bit heavy to carry around so instead of investing in a new battery, I got the Philips. My joy was very short lived though, since I managed to brick it after only 2 days. Seemingly there are 2 versions of the S309, a 4GB one and an 8 GB one that is available only in Russia. Another difference is that the 8GB version has Android 5.1 installed. Of course, people managed to read the 5.1 ROM (easy to do on Mediatek phones) and uploaded the backup file on needrom.com, where I found it. This is where things went downhill. As you probably know, Mediatek ROMs have a PRELOADER partition which is responsible for loading the OS. If this partition gets corrupted or replaced with an incompatible one, the phone will be completely dead, it will not switch on or connect to the computer in any way. The Flash Tool will not see it either, so there's no way of writing back the original ROM, even if a backup is available. 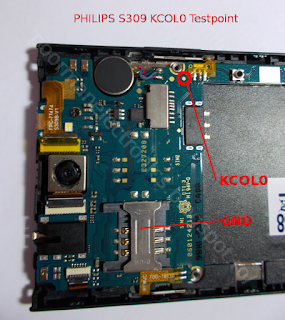 Even if I knew that the preloader should not be written to the phone under any circumstances, I made the mistake of completely writing the Lollipop ROM to my phone, thinking that it would work since, well, it was for Philips S309. Little did I know that SangFei released 2 versions of the same phone with different hardware. It turns out that the 4GB version cannot use the Lollipop rom. This led to my phone becoming a nice and shiny brick. It looks like there's a second way of entering meta mode, but the case of the phone needs to be opened. 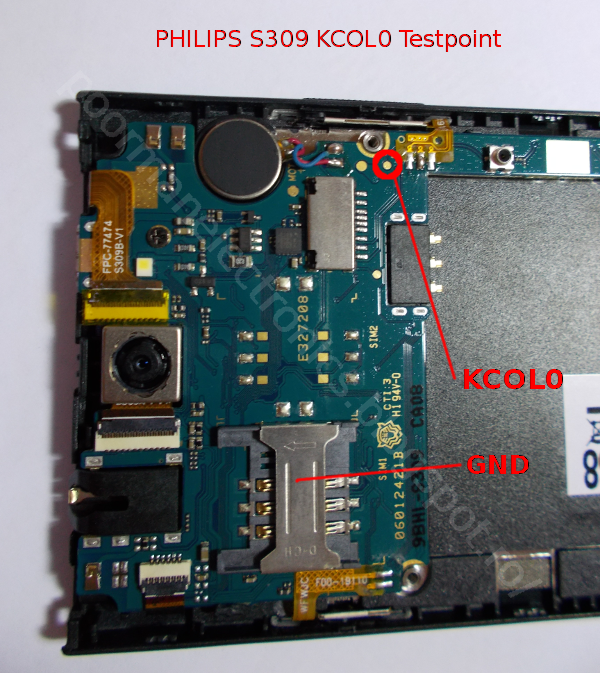 On the mainboard of most Mediatek phones there's a test point called KCOL0 that gets the phone into meta mode when it is connected to GND. Of course, not all phones are the same, the testpoint could be pretty hard to find, and most of the time it's not labelled. There are some things needed for finding the TP: a computer (Windows or Linux OS, I used Debian here) with the Flash Tool installed, USB cable, a piece of wire, multimeter, screwdrivers, phone case opening kit, the original software (or a complete backup) of the bricked phone and of course, patience. If everything worked, a red progress bar will appear at the bottom of the Flash tool and the computer will upload the PRELOADER to the phone. Wait for the OK window (green circle) to appear. If you want to also write the rest of the ROM, it's recommended to exit the Meta mode and enter normal flash mode. Go to the Download tab in the Flash Tool, deselect PRELOADER and select the other partitions, press Download. Disconnect and reconnect the phone to the USB cable while holding the Volume Up key. The phone will use the newly installed preloader to enter Flash mode without needing the testpoint. 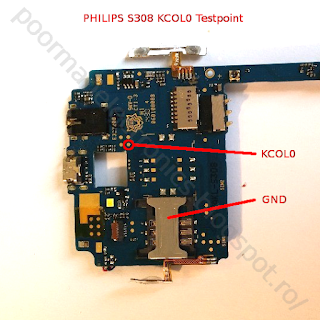 On Linux, the steps are the same, the only exception is that no VCOM driver installation is needed, after connecting the testpoint the phone got detected instantly and the flashing begun. Don't interrupt the flashing process! Use only a copy of the ROM made exactly for your device. A complete backup made with the Flash Tool always saves the day. 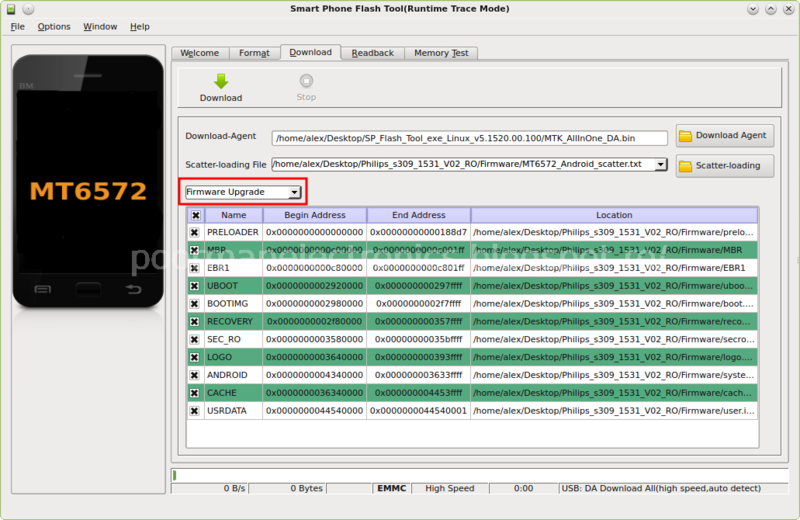 Don't touch the NVRAM partition, it holds the IMEI and calibration data for your phone. Don't use the Flash Tool to format or test the memory if you don't have a complete backup, it will clear everything, including the partition that holds the IMEI, etc. then navigate to "Format cache" then "Format user data" or "Reset user data" options. Choose them one by one with them vol Up button. After finishing, choose reset. Q: What to do if I get a PMT error and the flashing stops? Never ever update the preloader on Mediatek phones! 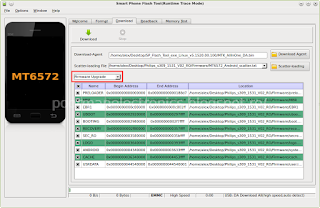 Always back up the complete ROM from Mediatek phones before flashing them (with the ReadBack function in Flash Tool)! It might save you from using the phone as a paper weight later on :-). That's about it, I hope this helps someone. Thanks ! Saved my phone with this !!! Only one mention. In my case the USB device was connecting and disconnecting immediately after connecting KCOLO to GND, so SP Flash tool did not have time to finish the download. I had to change a setting in SP Flash Tool -> Connection -> set without battery. After setting this, the device didn't disconnect at all, after connectinn KCOLO to GND, and SP Flash Tool was able to flash the PreLoader correctly. But what if the device is still being detected, albeit as a USB Serial Device? Even after flashing it through Write Memory the device is still knackered, i.e. it won't get out of Serial Device mode. The thing here is the bootloader is restricted and you can't flash unsigned firmware images unless you work around with it through the aforementioned method. The device in question is a LeapFrog Epic, if it helps. Hello, Can you please help me with backup of s309 4gb version ? I can`t find it anywhere. And sadly, I didn`t made a backup first.